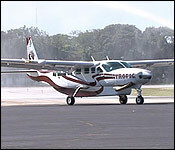 One civil aviation matter which Heredia is much more conversant with is Tropic Air. 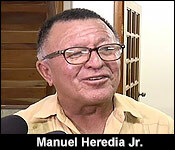 He flies the airline to and from San Pedro almost every day - so when the airline recently had to suspend three regional flights due to an increase in government's departure taxes - Heredia certainly got an earful. "Personally I was approached by the airlines, particularly Tropic Air that does the regional flights and they say that yes it has cost financially a big increase in their flights and that is why they had to. But in order for us to do anything we have to look carefully at it and weigh the pros and cons, because you might have the larger airlines saying why not us? Why only the local airlines? And that is at the point where we are to now weighing if it is possible or is it in the best interest of Belize or the industry. That is where we are today." Where we are today is cut off from popular routes, traffic both ways.